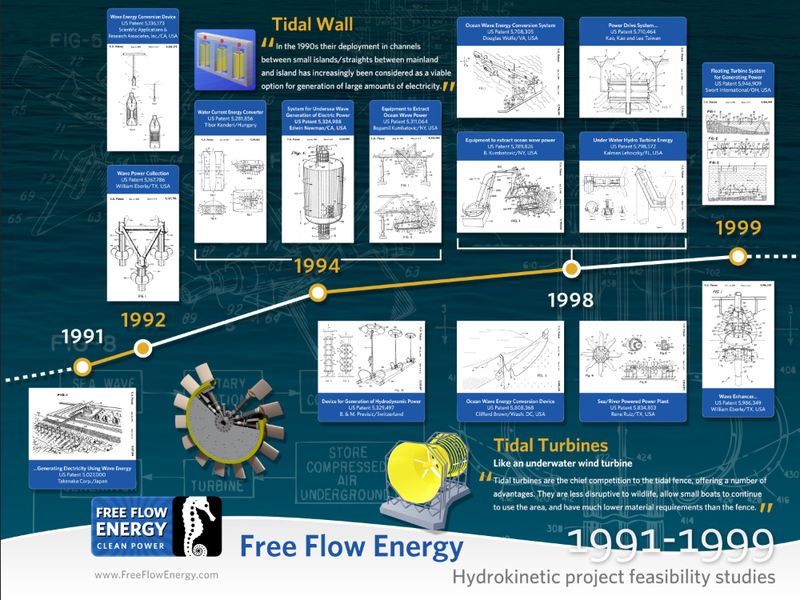 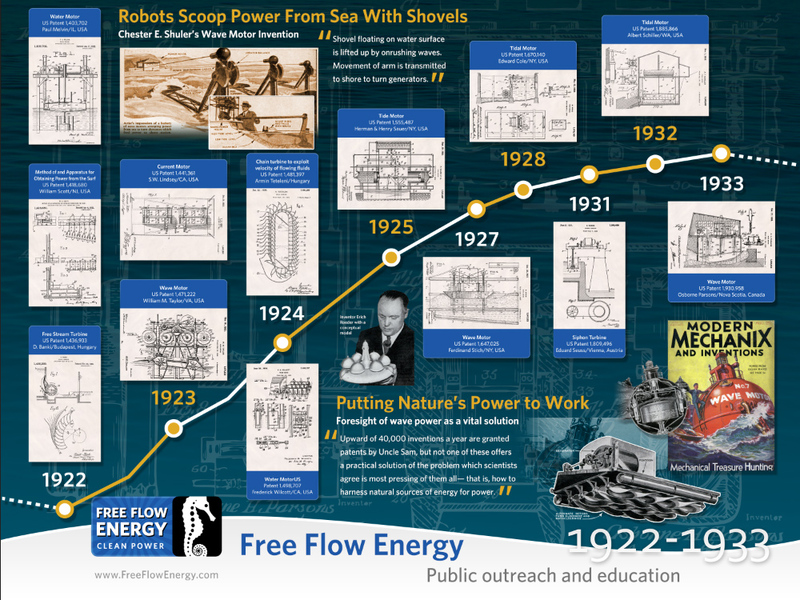 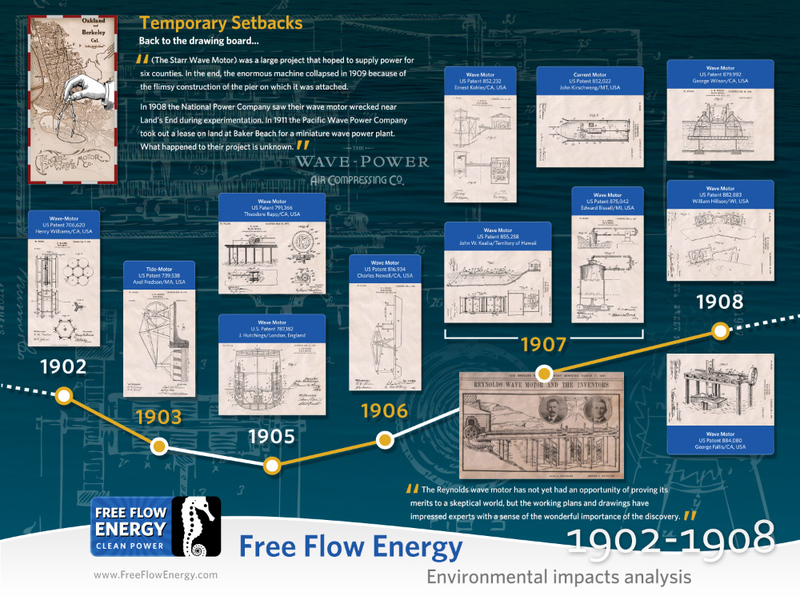 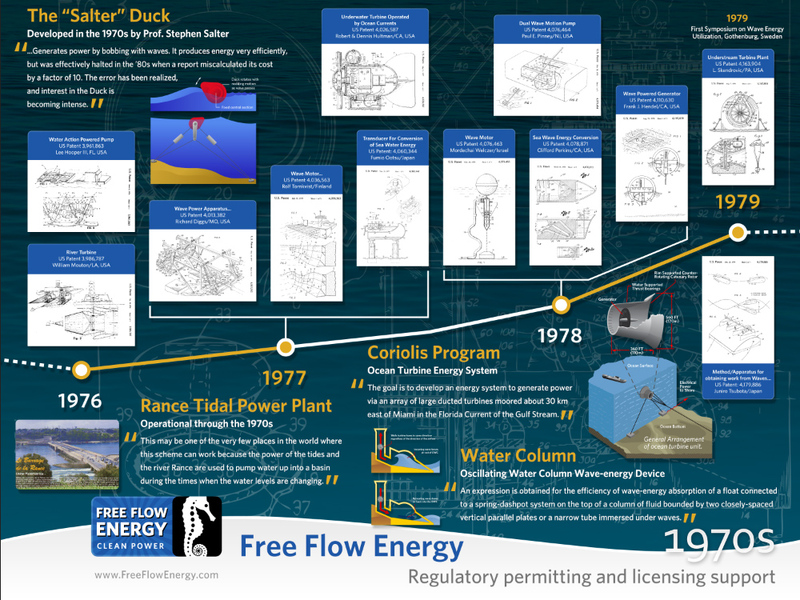 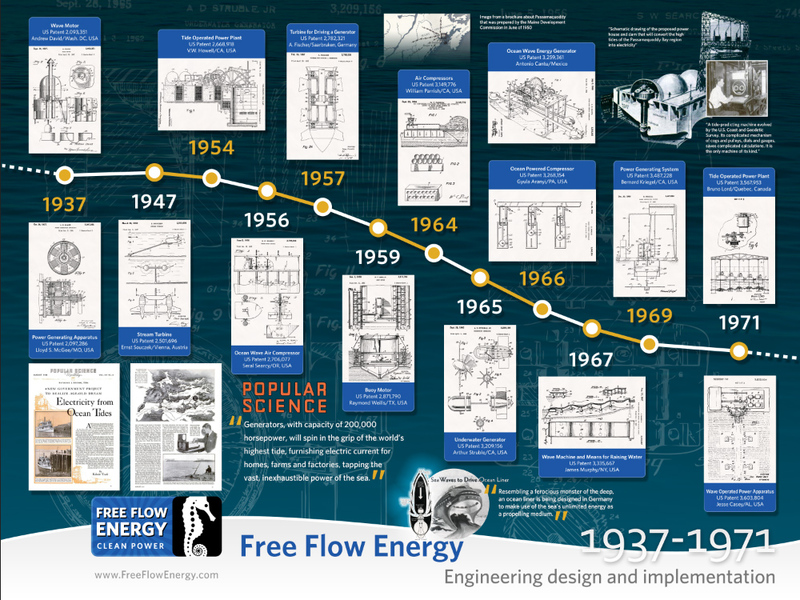 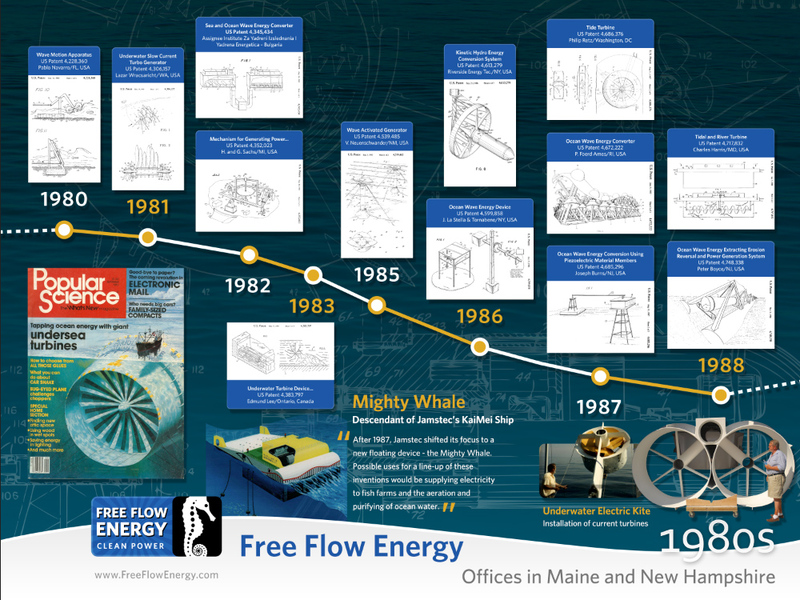 Ten-part series of large format posters for an Ocean Energy Conference hosted in Rockland, Maine. 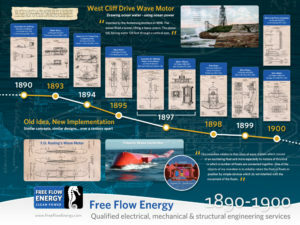 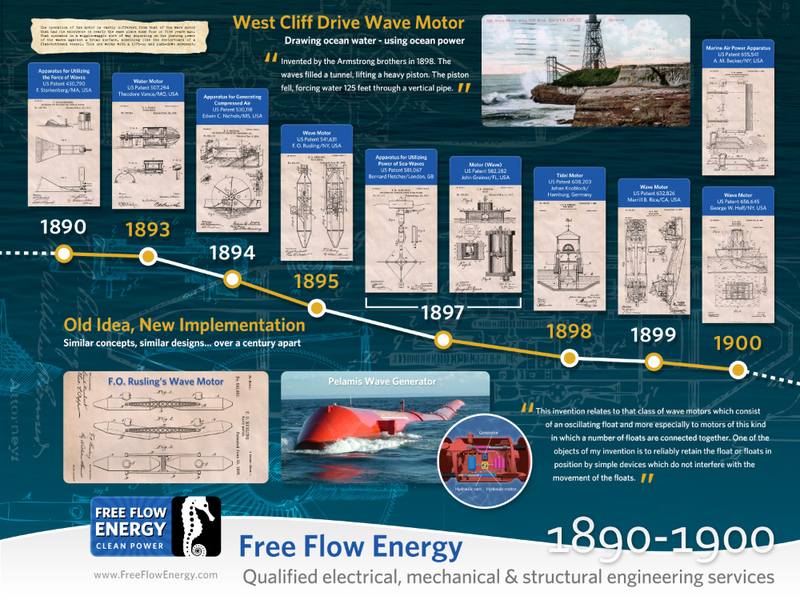 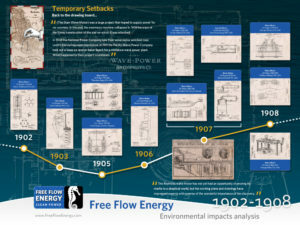 The posters were lined up five-in-a-row on either side of the conference hall, depicting wave and tidal energy patents/inventions dating as far back as 1844. 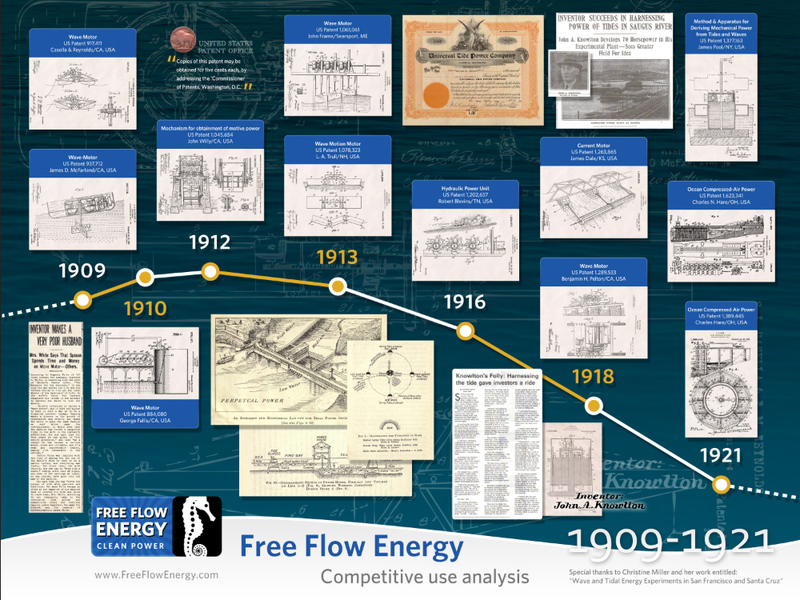 (Patent images were intentionally made as large as possible to enable detailed views.) 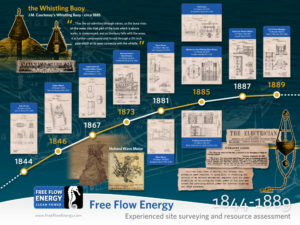 Officials from the US Navy attending the conference requested digital copies of the posters. 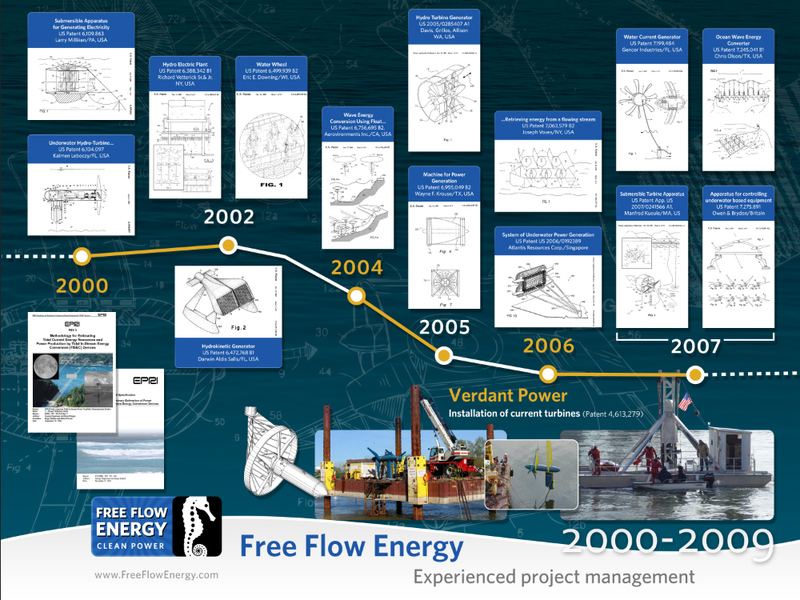 Content & patent research, content editing, design, layout, technical illustration, logo creation.